We've been spending a lot of time discussing the effects of the health checks at Crufts, which will also be extended to other KC shows. The Canine Alliance in the UK has voiced support of health testing for show dogs. It's clear that dog lovers want to breed healthy and fit dogs, but are veterinary exams at dog shows an effective method to improve breeding practices? Science tells us that genetic diversity is needed for health. How will we achieve the goal of promoting diversity for health? This is an important area, and one that cannot be "judged" visually. defect breeding, too much inbreeding and overly use of champion sires. spread and preservation of injurious recessive genes." but at this time many working breeds had already lost their occupation. breeding according to the rules of populations genetics. within 5 minutes or less so. There is good reason for concern about the current state of the health of many of our breeds. Many health problems are breed-specific, like high uric acid in Dalmatians and retinal dysplasia in Collies. These problems became entrenched within breeds due to the established systems of breeding to popular sires and inbreeding to create "lines" with consistent type. When dogs of a less popular "type" are excluded from the gene pool, so are many of their beneficial genes as well! Even if we can escape doubling up on recessive disease genes, through narrowing the gene pool to few individuals, we also tend to double up on genes for the immune system. This predisposes our dogs to all sorts of problems....autoimmune disease, poor tolerance to vaccines, and susceptibility to infectious disease. Diversity in the genes for the immune system is essential to maintain health, but our current system does not encourage variety and diversity...it only rewards breeding to a narrow definition of "type" as delineated in a standard. Further narrowing of the gene pool happens due to the selection of a few "noteworthy" individuals in a breed in each generation...and many of them are already related to each other. The gene pool continues to shrink! "Dog shows (conformation events) are intended to evaluate breeding stock.....The dog's conformation (overall appearance and structure), an indication of the dog's ability to produce quality puppies, is judged." Is it a good idea to tighten up the requirements for a championship in the various kennel club systems? On the surface it seems wonderful; almost necessary. After all, the dogs who win the most are inevitably bred the most. Probably, requiring a dog to pass not only a conformation exam but also various health exams as well as functional exams to become lauded or certified as a "champion" (and therefore ideal breeding material) would definitely narrow down the number of titlists from what we now see. Then we would be breeding mostly desirable typy, functional dogs with good health. Would we instead be narrowing down the gene pool to fewer and fewer individuals? This will eventually lead to poor health due to genetic impoverishment...pretty much the same undesirable system that we currently use. Of course individual breeders would still be free to go outside the system and use their own discretion in selecting individuals to use in their breeding programs. They could still select mates to complement each others' weaknesses, regardless of their show-ring success. It seems logical to want to breed the very best dogs, no? Can you envision the day when not only kennel clubs, but the government also will insist that only those individuals who pass a battery of conformation, health and functional challenges can be bred? Believe me, working on the legislative front I can say with certainty that this is exactly where we are heading. Iif it is decreed that dogs with weaknesses cannot be shown, or bred, we have a real problem. This requirement will start within Kennel Clubs and then the government will pick up the banner and extend such breeding requirments into law. That's when we may really find ourselves in a worse genetic pickle. This is not "paranoia"; it is already happening. Just check the laws in Los Angeles County if you don't believe me. In LA County, one cannot get a breeding permit unless your dog is actively being shown or has a title. The dog must be registered within a registry approved by the county. The owner must belong to a breed club with an enforced code of ethics. Only one litter per household per year, as well. This essentially means no cross-breeding and very limited breeding of only approved purebred dogs, by a very few approved breeders. We need a system in place that embraces MORE individual dogs for recognition...not fewer. That allows breeders the creative license to crossbreed judiciously if necessary. And this is just how most all modern breeds were created in the first place....through creativity, not restriction. And, the more restrictions placed on breeding by kennel clubs, the more restrictive laws we will see as a result. HSUS is setting up a "Dog Breeders Advisory Council" to try to delineate breeding practices. You can be sure, they will continue to support severe restrictions based on any parameters they can come up with. For the gene pools of the dogs, this would be disastrous! We need to use MORE of the dogs in each breed's gene pools. Not fewer. We need MORE people to breed and show dogs, not fewer. Perhaps we could start to use a system more like the IABCA....where the strengths and weaknesses of the dogs are written on an evaluation form, and all dogs who fit the standard pass the conformation muster test. Then include the health checks as needed and the functional tests on a breed-by-breed basis. Any good dog can pass all these areas, not just "the best". With standards and judges less apt to reward only the so-called "best", we become more inclusive. More dogs will be bred, and gene pools will not narrow to produce disease as readily in the population. I am scratching my head as to why so-called "welfarists" are promoting policies that would likely make our current dog show system worse. Rather than add to the numbers of dogs bred and shown, they wish to harshly restrict the playing field. PETA and HSUS also claim to promote what is "best" for animals by actually killing them and pushing for legislative policies that result in decimation of domestic animal populations. Actions speak louder than words. If we wish to promote health and diversity, then we need to work toward a playing field that is broader and more inclusive. While breed standards that encourage moderation are a great step, I don't see how vet checks at dog shows will change the current system to one that will broaden the gene pools, or stave off the attacks in the popular media against dog breeding in general. As noted in a prior post, the British "Canine Alliance" foolishly has expressed a desire to work with the KC to promote health testing in the show setting, providing that such checks apply fairly to ALL participants. However, the idea of testing all show entrants is not practical, admits pedigree dog blogger, TV producer and animal rights puritan Jemima Harrison, stating, "can you imagine the uproar, anyway, should vets DQ some top dog de jour that's just arrived after a 300 mile journey to compete?" Been there, done that. Remember Crufts last week? These people probably would have preferred to escape the spotlight of winning and then being singled out for ridicule for having an undisclosed "health problem". The popular lynch mob sentiment seems to be "why not release the results of their exam if they have nothing to hide"? Why not indeed? Privacy be damned, none of that exists after the witch hunt and public lynching. What was the crime again? Who knows? "Guilty!" is all that matters. When the Canine Alliance members mentioned their objections to the heavy-handed and unfair way they have been treated by the Kennel Club, Harrison criticized them for worrying more about themselves than the dogs. The DOGS are more important than the people who breed them, in the eyes of the animal rightists. The dogs don't care if they are in a show, she muses, and anyway, she wants dog shows to go down the tubes for good…to be banned, in her words. (Like as if we didn't already figure that one out). Besides, if poodles cared they would object to being groomed to be "embarrassingly ridiculous" according to Harrison. No, dogs don't care at all if they are in a show, or how they are groomed. They are DOGS, not humans. Golly, that is hard to remember for those who prioritize the treatment of dogs over the treatment of human beings. Yes, dog shows are primarily a human activity. We make the choice to participate, for whatever personal reason we may have. For fun, for possibly starting a breeding program, for camaraderie with fellow hobbyists, for the sense of accomplishment, for the bond you establish with your dog, for receiving recognition for a job well done. Don't we all seek approval? That is basic human nature. But according to the ARistas, dogs have the right to not be exploited at the hands of the exhibitors, judges and breeders. "The Canine Alliance was formed to represent everyone involved with pedigree dogs, and to negotiate when necessary with any related organisations in the interest of all breeds. Its aims are to protect and support the well-being of pedigree dogs, to uphold the ethics of responsible dog breeding, to encourage health checking of all dogs and to allow the exhibition of pedigree dogs without bias or discrimination.... It pledges to be fair and totally transparent, always working to the benefit of pedigree dogs." Any related organizations? Like who? YIKES! The Pedigree "exposers", perhaps? The RSPCA, an animal rights group? The very group that has actual police authority? Don't they have enough power already to enforce their anti-dog breeding agenda on society? Guess not. You don't negotiate with terrorists! Those with nothing to lose don't actually compromise very well. It's all take and no give. The demands just keep on coming! Anyone with a lick of common sense realizes that if you give animal rights extremists an inch, they will definitely take a mile. But sadly, those whose country is overrun with AR laws and bleeding-heart sentiment just don't seem to "get it". Exactly where do they envision this path to the future leading us? At last! An organisation that I can sign up to! After all, I'm involved with pedigree dogs and I can sign up to most of those aims. I also protect and support the well-being of pedigree dogs; I am happy to uphold the ethics of responsible dog breeding and to encourage health checking of all dogs…. So what shall we do first, CA? Limits on popular sires and inbreeding? KC registrations dependent on taking and actually passing breed specific tests? Health reps educated in rudimentary genetics? It's so exciting, isn't it? Together, we can achieve so much! My my, someone who neither breeds nor shows dogs, but "involved" so intimately. So thrilled to have such "achievements" to crow about. "Together", eh? Unfortunately, with all the conciliating that the KC has done, I'm sure she does feel that such "achievements" are hers to boast about. And, if I didn't know she was a pet owner rather than a breeder, this idea would clue me in immediately. Requiring PASSING breed specific tests simply to be registered? And what end, pray tell, would such folly serve? Do many people seeking out a purebred dog really want an unregistered dog? And when we move beyond registration to actual showing and breeding, shouldn't breeders have the license to decide whether or not they wish to throw the baby out with the bathwater? Oops, guess not. After all, in true AR form, these folks believe it is horrific to pass on any defective genes. Dogs must be 100% disease-free to bred. Or, in the case of the British, to simply be exhibited! Ah, make that, must be disease-free to even be registered! Is it any wonder that people resist health testing when there is such a social stigma attached to the "unhealthy" dog and its "bad breeder"? According to the events unfolding in the UK, health test results may adversely affect a breeder's ability for self-determination in breeding decisions. There just MAY be a bit of reluctance to participate when the end result is punishment and derision. And, the problem with such simple-mindedness is that there is no 100% healthy dog. ALL dogs, just like all people, can and do suffer from health problems, and yes, many are genetic. All animals carry some genes for detrimental health traits. Geneticists believe so, and I think they probably know whereof they speak. 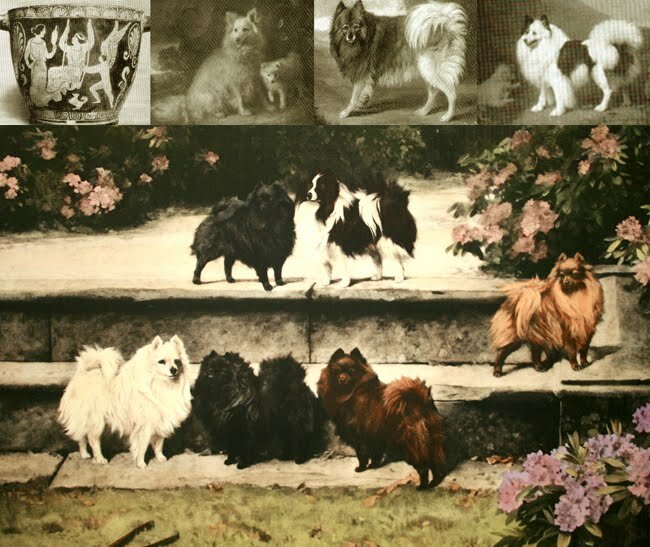 Purebred dogs as well as outcrossed dogs all carry problem genes. And dogs with extremes of conformation…..excessively short legs or short noses, for example….are not necessarily inbred, PDE rhetoric notwithstanding. Geneticists advise against automatic dismissal of disease carriers. Such practices further limit genetic diversity. Such practices give us the same result as popular sire syndrome! For some of the endangered breeds, narrowing the gene pool by eliminating dogs with whatever health problem you are looking at is not always a black-and-white decision. What the devil is a "proper" breed health survey? Oh, I'm sure the omniscient ARs among us will be waiting in line to help craft such projects. The very people who believe that elimination of hip dysplasia in domestic dogs is a realistic goal. If one is actually "educated in rudimentary genetics", they would not recommend such drastic winnowing away at breed gene pools. Eliminate every dog with borderline or worse hips, and a significant proportion of ALL dogs will be gone. Canine orthopedists know that few breeds are free of hip dysplasia, and many if not MOST breeds have significant numbers of affected dogs. So there go most all the breeds on hip issues, with the possible exception of sighthounds and standard poodles. In some of the toy breeds, eliminating all dogs with patellar issues would mean entire breeds would be tossed out. "Acceptable to have some haw showing but without excess. Free from obvious eye problems." "Haw" shows with a mild degree of ectropion. Apparently this part of the standard conflicts with the stated goals of the newly-instituted health checks. Wouldn't it be grand if they could get their act together and coordinate the goals here? The KC just released information on breeds that are in danger of extinction in their country due to low numbers and closed gene pools. ** Twenty-nine breeds are now considered endangered species in the UK. The specific breeds are not listed except for the "top five". In keeping with current scientific knowledge of the benefits of genetic diversity for health and longevity, increased numbers of imports and judicious outcrossing are being presented as methods to help prevent breed extinction. This is fabulous!! I applaud the KC for such forward-thinking ideas that breeders definitely need and can use to move forward. However, before they get the chance to implement these ideas, they may just find that the anvil of the health crusade may kill of some of the very breeds they want to preserve. I wonder if the Clumber Spaniel is on that endangered list? I wouldn't be a bit surprised. Way to decimate the gene pools of the breeds most in danger of extinction. Jolly Good Show! Ronald Reagan reportedly once said, "The nine most terrifying words in the English language are: "I'm from the government and I'm here to help." Substitute "Kennel Club" for "government", and you have the ten most terrifying words in the English language. Let's see. Obama, after much pressure from his daughters, finally gets a dog. The dog is kept with the White House dog trainer until the Obamas are ready for photo shoots or the kids have time in their schedules to play with him. I think he sleeps with one of the daughters. And then there is Romney. "We are a dog family. Casey was our Bichon, McKenzie our Golden, and Marley our Weimaraner. Marley had 8 puppies, which Mitt delivered all night for her one summer. "When she died last year, she was in Mitt and our arms, and we all cried. Yes, we love our dogs. "Now horses, that's my love too. Mitt rides them--I love them. But that's another blog." Seamus was the dog whose care was criticized when The Romneys strapped his crate on the top of the car in order to take him along on a family vacation. Mind you, there was a family of seven in the car, so adding a large dog inside the car was out of the question. I guess they could have left him home or in a kennel, but apparently the dog was considered part of the family. Remember, this was back in 1983. Almost thirty years ago. Back when I was a kid, we rode in the back of dad's pickup truck – even on the freeway! Wind whipping our hair into our eyes. No seat belts. Highly dangerous, but who knew back then? Would we kids have still giggled and screamed with delight had we realized that our dad was a horrible child abuser? Anyone who finagles an ingenious method, complete with windshield, for bringing the dog along on a family vacation, and who tells PETA to take a flying leap if they don't like it, is ACES in my book. Oh yeah, and a breeder too! Hooray for Romney! "Kingsley is half yorkie, half poodle (a yorkie-poo, though I hate to actually admit to owning a dog called a yorkie-poo). He's a great dog, here's a picture if you're interested. Some other Romney pets include an Australian shepherd named Reggie that belongs to Tagg's family and a standard poodle named Winni in Josh's family. You will have to ask my brothers which one is the best behaved." A group of exhibitors have organized in protest to the Crufts retroactively punitive veterinary exams. After following some of the discussion on Facebook, it seems this group has concluded that instead of singling out certain "high profile breeds", ALL entrants or ALL winners should be subjected to a similar exam. One of the veterinarians who performed the health checks on the Crufts fifteen "high profile breeds" must be feeling the heat. Dr. Skipper (yes, that's really her name) released a lengthy statement, explaining her motives for involvement with this new program. She gladly volunteered, it seems, because she "supported the initiative and decided....to get involved." "I'm not stupid" Dr. Skipper continues, " I knew it would be extremely controversial, and that I would probably have to make decisions that would be very unpopular." Yes, this vet knew exactly what was being asked of her and she gladly volunteered for the seek and destroy mission. After all, she is altruistic and noble. She wants to "improve the health and welfare of pedigree dogs." Eager to rescue the breeds from their breeders, she disingenuously claims to have "great sympathy for the owners of the dogs that were failed....It must have been disappointing, embarrassing and humiliating, and it gave me no pleasure at all to do it." Yeah, right. Just like those teachers back in grade school didn't enjoy humiliating their errant students by banishing them to the corner with dunce caps. There was no sanctimonious pleasure involved there, either. Dr. Skipper didn't give a flying fig about humiliating the people involved. She knew the stakes involved....she volunteered for the job...she believed that the end of improving canine welfare justified the means of humiliation and degradation of the owners. Those owners had extensive testing done on their relatively moderate dogs who were stellar examples of their breeds. Why, those owners should be happy to spend untold thousands on their breeding program and competions, just so they could have the pleasure of reading all the complimentary notes Dr. Skipper wrote on their forms! Yet instead, they were upset due to being ultimately excused. Who'd have ever imagined such a thing? What poor sports. Why couldn't they just "take it on the chin" as was suggested earlier this week by AR blogger Jemima Harrison? And the good Dr. further claimed she operated at "great personal risk; if I were found guilty of false certification I could be struck off the veterinary register and lose my livelihood". HOGWASH! Just like the judges or a referee in a ball game, what the veterinarian sees at the time cannot be disputed after the fact. If she says the dog had a limp, or the conjuctiva was red at the time of exam, who can dispute that? Betcha she didn't administer any antibiotic eye drops or ointment, either to those she diagnosed with conjuctivitis. Taking a specimen for culture is necessary to properly diagnose an infection, but of course that wouldn't be necessary for the purposes of making a political statement about dog shows. Which the good Dr. then goes on to diss, stating "The world would still spin on it's axis if there were no dog shows." So I guess it's fine in her book to contribute to the demise of these insignificant shows because TO HER they are unimportant. Whether or not dog shows are important in the grand scheme of things is really inconsequential. People who wish to participate have the right to do so without harrassment by AR freaks. Dr. Skipper honestly believes that her input is needed to save "a Pug that struggles to walk along a path" or a dog with "chronic low-level discomfort" Nothing animal-rightist in those statements, is there? Such drama, as if the Pugs at Crufts were struggling to walk. Puh-leeze! And further, she casually drops the statement that that "There aren't enough good homes out there for the dogs there are already." Another jaw-dropping, blatantly ignorant mantra oft-repeated as part of the animal rights propaganda campaign against dog breeders. "One thing I am angry about is that the media coverage is focused so exclusively on the dogs who unfortunately failed." Dr. Skipper whines. Seriously? The world has noticed this travesty of justice, not surprisingly. So this supposedly unbiased, "independent" examiner, with no ulterior motives whatsoever beyond the purported promotion of good health, now is actually angered that her actions may have come under question in the wake of the dumping of several breeds at the biggest show of the year. Anger is the trademark response of one who is biased and operating in crusade mode. Not the response of one who is "independent" and impartial. I bet she wishes she could have gotten her hands on the BIS winner to DQ her as well. Wouldn't THAT have done volumes to improve the lot of those poor, suffering show dogs? "The least we can do in return is to choose healthy body shapes for them to live their lives within" she concludes. It's becoming clearer and clearer that any sign of chondrodystrophy, brachycephalism, gigantism, diminutive size or other deviations from the feral canid will eventually come under fire. 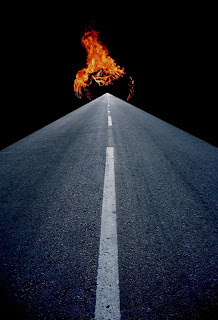 As the KC should hav learned by now, give an inch and soon that inch is stretched out for a mile. And getting back to Jemima Harrison, the self-annointed "exposer" of purebred dogs, she waxes almost apologetic today. In light of the threats by some exhibitors to desert the kennel Club and their shows, to to give up as they are singled out for punishment, Ms. Harrison now proclaims her solution to everything.... that the dog show needs to be "reinvented". That dogs should receive "points" for such things as health testing and longevity in the family. Hey, not a bad idea, eh? However, Ms. Exposer remains staunchly in defense of perfunctory vet exams...for winners only....that would completely invalidate such points. She also believes "...that by a certain date, certain health critera need to have been tackled and rectified....This should ensure progress without knocking the stuffing out of breeders who are doing the best." There's an old saying that fits here. NO GOOD DEED GOES UNPUNISHED. The more breeders attempt to health test and breed for moderation, the harder that AR hammer will fall on their heads. Besides, we ALREADY have a system to encourage healthy breeding in place. It's called health registries and pedigree databases. Believe it or not, health registries and health tesing existed long before any nannying busybodies came on the scene. Demand from informed buyers is the market force that is pushing more breeders every day into participation in health testing. Again, the idea that health can accurately be evaluated in the show ring is ludicrous, to say the least. A health DQ doesn't serve to "educate" or "improve" anything if the reason is not made public. Yet such a revelation would be highly unethical and unfair to the owner. As if the entire world did not know that their dog was DQd for a shameful "health" breach. The winners did not lose their Challenge Certificates, but were humiliated nonetheless. What was the whole reason for this charade again? A bit too late now to worry about who is getting the stuffing knocked out of them, isn't it? This after her cavalier remark earlier in the week that even if a winner was DQ'd unfairly, the breeder should just meekly "take it on the chin". Why get soft now? It can only be due to the immense worldwide backlash against the harebrained actions of the Kennel Club, at the urging of AR extremists. The Basset Hound club in the UK also released a statement, this one critical of the KC's actions at Crufts. Good that they caught on to the fact that the Kennel Club seems to want breeds to "conform to the generic shape of the standard canine." This is a real concern for all breeds. And, I'm glad they explained that the amount of "haw" that a Bassett possesses is not at the top of the list of health priorities. However, their main concern seems to be the KC allowing enough time for them to comply with the revised 2009 standard. I'm still waiting for a club in the UK to really rebel! But since the KC sets the standards and literally runs the show, the individual clubs don't have a lot of say in the matter. If the clubs would go independent of the KC, they could have their own specialty shows, produce their own standards, operate their own registries, and, in short, determine their own destiny. Surely this is better than cowtowing to animal-rightist misanthropists. It is, after all, a matter of preservation of human rights that is at stake here. 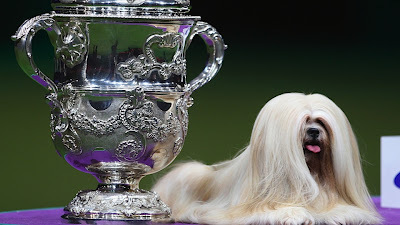 Elizabeth, the Lhasa Apso deserves hearty congratulations for her Best in Show win at Crufts 2012. The Lhasa Apso is closely related to the Pekingese, the Shih Tzu and the Tibetan Spaniel, and a bit further removed is the Tibetan Terrier, the Pug and the Japanese Chin. In fact, sometimes different-coated dogs known popularly as "Prapsos" (perhaps Apsos) are born in Shih Tzu and Lhasa Apso litters. 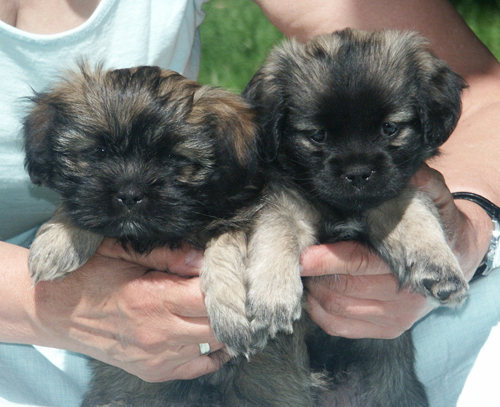 These dogs have different coats, shorter and straighter, and they look nearly identical to a Tibetan Spaniel. This is a clue to the close genetic relationship these breeds share. Historically, it is believed by some that the Chinese used the most extreme short-faced Tibetan dogs to develop the Pekingese. Some people believe it happened the other way around; that the Pekingese gave rise to those other breeds, but either way it is obvious that the Peke has been interbred with and is closely related to the various Tibetan breeds. Elizabeth, and indeed her breed in general, escaped the intense scrutiny of being on the "High Profile Breed" hit list. At least for this year. This despite the close relationship to other breeds under fire, and sharing some of the much-criticised "extreme" features. The Lhasa Apso has a coat that dusts the floor. And hair that cascades over the eyes. And an undershot lower jaw. And is brachycephalic. The preferred bite is either level or slightly undershot....Heavy head furnishings with good fall over eyes, good whiskers and beard. Head furnishings with fall over eyes, but not affecting the dog's ability to see....Muzzle.....length from tip of nose roughly one third total length from nose to back of skull...reverse scissor bite. Now don't get me wrong, I don't find fault with the standards. I'm simply anticipating future criticism by the nannying animal welfarists. A short muzzle, with an undershot bite? Dentition is probably suboptimal. Isn't all that hair a bit too "extreme"? That has been an oft-repeated criticism of the Pekingese....too much coat. Will the Lhasa be next to be criticised for their coat? At least the coat of the Pekingese doesn't fall over the eyes! Animal Welfare - AR Lite? I propose that the difference between animal rights and animal welfare is merely a matter of degree. Animal rightists don’t believe that people should have any involvement with animals in any way. No animal agriculture, no hunting or fishing, not even any pets. They don’t want to see people adversely affecting animals. • Prohibition of dog fighting, and banning of breeds deemed "dangerous"
• In my case, avoidance of spay/neuter! Even such activities as dog racing, dog sledding, and other traditional pursuits are sometimes considered abusive and contrary to animal welfare. So, exactly how far should the tenets of animal welfare extend into our lives? How much outsider intervention in animal husbandry is acceptable? While I am sympathetic to many of the above “animal welfare” proposals, I am adamantly opposed to the government or anyone else attempting to force their ideals regarding care standards on the rest of society. Dogs and cats are what’s for dinner in some countries. That’s not an appetizing picture to me, but I’m sure some people in other countries feel differently. When you consider that the overwhelming majority of people in western culture revere and adore their dogs and cats, we're really not hard-hearted and bereft of animal welfare concerns after all is said and done. Scatological humor is the perfect accompaniment to other juvenile pursuits....bullying, public ridicule and the like. Several popular dog blogs have been busy cheering on the Crufts shenanigans. They have made a big point of posting pictures of the Crufts winners who were subsequently stripped of their wins, and superimposing big, red-outlined words like "FAIL" across the pictures. Infliction of humiliation on others is pretty fun, it seems. So it's really not surprising to find one of these folks today posting a video of a dog pooping during it's agility run at Crufts. "HILARIOUS! Dog takes a dump on TV"
Lowbrow, bathroom humor may be hilarious to pre-teens, admittedly. Or to one of any age with stunted emotional maturity. Such a video might go over big on a show like "Jackass" or "America's Funniest Videos". I understand there is actually a pretty big audience for such stuff. I won't bore you with the link to the dog pooping. It's really not humorous. This sort of activity happens on a regular basis, from what I hear. Normal bodily function and all that. For those of tender physical age or cases of arrested development, you'll have to manage your own Google search for this one. Crufts - the "Poisoned Chalice"
The owner was much more polite than I would have been! I'd have said the Kennel Club could go to hell. More info on the "unhealthy" winner. Check out all the health testing, passed with flying colors. Of course none of that means a thing to animal rights fanatics who are opposed to intentional dog breeding. And it doesn't mean a thing to the the lackeys of the AR groups - The "Pedigree Dog Exposers" and their ilk - who criticise any supposedly unnatural and "cruel" canine features; short or bowed legs, floppy ears, giant size, toy size, wrinkled skin, hairlessness, too much hair, short muzzles, curled tails....just the tip of the iceberg. Nothing short of a feral canid will satisfy the AR factions. Some of the bloggers who keep more moderate breeds from the gundog and herding categories are foolishly supporting the campaign against other breeds deemed "extreme." I guess they honestly believe that they won't ever be affected, so they have no problem supporting trampling on the rights of others to make their own breeding choices. And, many UK citizens deny that they have significant AR activity....despite this latest conclusive Crufts evidence that AR philosophy is deeply entrenched at the highest levels. PETA founder Ingrid Newkirk is English. The animal rights philosophy is deeply rooted in English Puritanism. Locke - Bentham - Taylor - - the Oxford Group - Band of Mercy - SHAC - and many other groups. The RSPCA was formed way back in 1824 as the world's prototype animal rights organization. Britain has long banned certain forms of hunting, and banning of canine crop/dock are AR concepts that have been well-established for many decades in the UK. And now, the AR tentacles in the UK have extended far beyond the bans on hunting, crop/dock, and COI limits. Right up to the highest levels of the Kennel Club. No amount of health testing is enough, no pursuit of moderation will ever satisfy. Our dogs need to be protected from those who wish to save them. 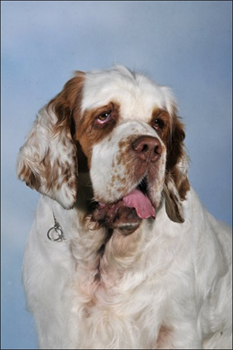 Today, it's the Clumber Spaniel who failed the health exam. Will be interesting to find out precisely what the "diagnosis" was. I was just browsing the newly-released AKC popularity statistics and noticed that the Pekingese has dropped dramatically in popularity over the past decade here in the US. In 2001, Pekes ranked 32nd, but last year, in 2011, the breed only ranked 64th. The public has the ultimate ability to vote on the whether or not a breed has become too extreme for the taste of most people. Supply vs demand is the ultimate modulator of breeding activities. With a decline in demand, there will likely be a return to a less overcoated model. This would be in keeping with the standard, which states that "A long and profuse coat is desirable providing it does not obscure the shape of the body." On the other end of the spectrum, we have the Chihuahua that also fell in registrations from 9th place down to the #14 spot. This breed, along with the hairless breeds like Chinese Cresteds and Xoloitzcuintli, could very well be the target of the same sort of criticism that the Pekingese has endured of late. If it is "suffering" for Pekes to be unable to modulate body temperature with an ineffective cooling system, it would stand to reason that breeds that shiver in the cold morning air are also subject to similar suffering with inability to properly modulate their body temperature. It's just a matter of time before these breeds come under fire from animal rights critics. Come to think of it, breeds with long, floppy ears "suffer" with predispostion to ear infections. Dogs with excessive skin folds and tightly curled tails suffer from a predisposition to skin infections. Giant breed? Short lifespan; They are suffering. There are MANY brachycephalic breeds (cocker spaniels, mastiffs, Newfoundlands and the like) some of which are now banned on airlines due to their predisposition to breathing difficulties. I wonder how many unique breeds will be left, once the anvil of selection falls against "extremes" in conformation? No, this isn't going to be the usual gossip about dog show politics; who's doing the most winning, which judges are crooked, and the like. 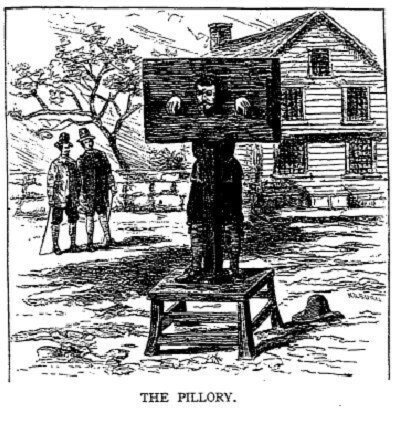 And, if you thought that stocks, pillories and whipping posts went out of style hundreds of years ago, think again. The Kennel Club has decided to pander to the animal extremist factions who decry most breeds you see at dog shows as "garish, freakish mutants". This of course is not news, as we have already seen the KC scramble to alter breed standards in an attempt to placate the animal-rightist RSPCA and the BBC TV shows which claim to expose the horrific underbelly of the world of "pedigree dogs". No, that was deemed insufficient change, so now we have veterinarians examining the breed winners at crufts. This year, two Crufts Best of Breed winners have failed their veterinary checks and will not be allowed to represent their breeds in the group competitions. The details of the supposed health defects have not been revealed, but since we are talking about the Pekingese and the Bulldog, it's a safe bet to believe it may be related to brachycephalism (short noses) and/or chondrodystrophy (short, bowed legs). Rather than publicly humiliate the winner and rescind their coveted award at the biggest event of the year, why not examine the dogs PRIOR to the judging? Why not censure the judges if they are so stupid that they put up obviously unhealthy dogs? Where is the runner-up to step in and represent the breed in the group ring when the winner is disqualified? Why not simply ban entire breeds from participation if you have deemed them "unhealthy" with extreme conformation? The answer is obvious. By prominently "dissing" an entire breed, the KC makes a political statement that those breeders have been VERY VERY BAD. They must be publicly humiliated, with the goal of placating animal extremists by putting the bad dog breeders in pillories and giving them a good public whipping. In short, these breeders are being made scapegoats to take the heat of the animal rightist wrath. Naturally, since every breed of dog (and mixed breeds too, and almost every single individual dog ever born) have health issues, eventually EVERY breed of dog will come under intense scrutiny for health imperfections, not just those deemed to have exaggerated features. If dog shows were truly about rewarding only the healthiest animals, we would see a requirement that only the oldest who have remained healthy would be allowed to compete. After all, it's easy for a young animal to look healthy and beautiful. But will he survive to a ripe old age, with few health problems? The only judge for that is Father Time. No, dog shows were never meant to select primarily for health but for form, and to a lesser extent for function. Whether they are useful toward that end is doubtful, but dog shows were never intended to select primarily for health. That's what OFA and other health registries are meant for. And savvy consumers know that most common prevalent health problems (like hypothyroidism, deafness, and autoimmune issues) are never revealed in a dog show. Let's not confuse the public by claiming that a show championship with a vet check such as the KC is now employing, is a guarantee of a healthy dog. Such an implication is misleading and detracts from the real health testing in which conscientious breeders already participate. No, there will never be enough changes in breeding to satisfy animal extremists. The dogs will be either too big, too small, too stocky, too thin, ears too long, nose too short, legs too long/short, or they are not friendly (even though meant as a guardian breed). The sooner we realize that this never ends, the sooner we will stop trying to placate the animal rights fringe. Group competitions at Crufts after they failed the new veterinary checks that have been introduced to the show. any dogs that show visible signs of problems due to conditions that affect their health or welfare. Dog, Mastiff, Neapolitan Mastiff, Pekingese, Shar Pei, St Bernard, French Bulldog, Pug and Chinese Crested. breeds forward by only rewarding the healthiest examples of a breed." their breeds in the remainder of the competition." PETA is opening up their new, incredibly fancy Sunset Boulevard headquarters today. Former "The Price is Right" host Bob Barker donated $2.5 million to fund the construction of the "Bob Barker Building". The 88-year-old animal rights kook will be on hand for the grand opening of the "new home to PETA’s media, marketing, youth outreach and campaign departments". In other words, their propaganda and lies headquarters. $2.5 million, eh? I wonder how many animals they could have spared at their shelter (which kills almost every animal that has the great misfortune to enter their doors) with that money? The City of Los Angeles killed 38,000 animals last year. PETA's new building cost approximately $2.5 million. At an average actual cost of about a dollar a day, that would feed all of those 38,000 animals for 65 days, which ought to be enough time to get them all adopted (assuming they're 100% adoptable). PETA has killed over 28,000 pets at their Virginia headquarters. Using that $2.5 million, they could have fed all of those animals for 90 days. Or, it could feed 6849 animals for a whole year. But that is working off the assumption that Bob Barker and PETA are actually "ethical". HAH! Los Angeles County announced just yesterday that they will be going door-to-door to enforce their mandatory spay/neuter /microchip law. So much for the lies about these laws being "complaint-driven" and not targeting ordinary citizens who are not creating any problems. Will Bob Barker show up at YOUR front door sometime soon to examine your dog's testicles?